Be it a residential or commercial place; Air conditioning units are the must-have amenity today. So, with the increased rate of popularity, we ensure the highest quality of design and error-free AC installation for our clients. While offering our services since 2003, our electrical work includes air conditioning installation for both home & business spaces. 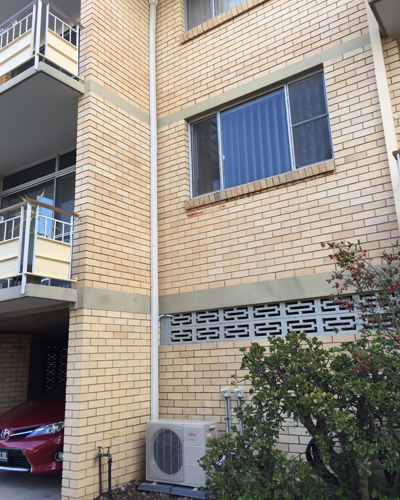 Whereas we care about client’s utmost comfort from both the commercial and residential environment, we offer both the split and ducted air conditioner installation and many more. Our technicians from Fusion Electrical Gold Coast carry out each installation task professionally at a competitive price. 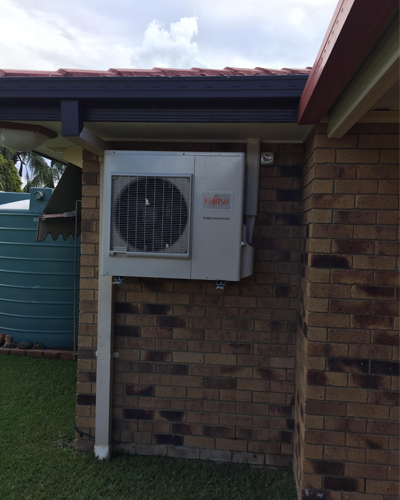 Our consultants and skilled technicians are proficient enough to help you to choose the air conditioning unit to get most of the installed one in the long run. 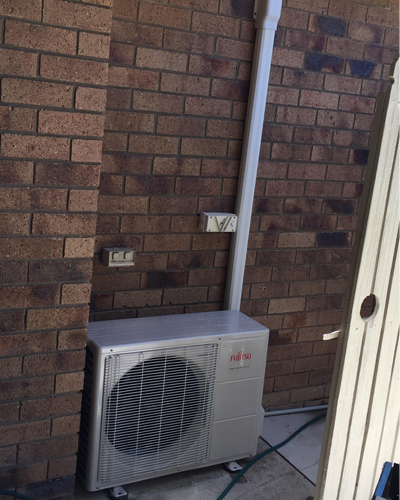 At Fusion Electrical Gold Coast, we have been installing the commercial air conditioning since the time we started serving clients from various sectors. We offer a wide range of commercial refrigeration solution that starts from the commercial air conditioning to mechanical ventilation. How would you choose a right model? Multi-split: It is a type of split system, in which one outdoor unit is connected with two or more indoor units. 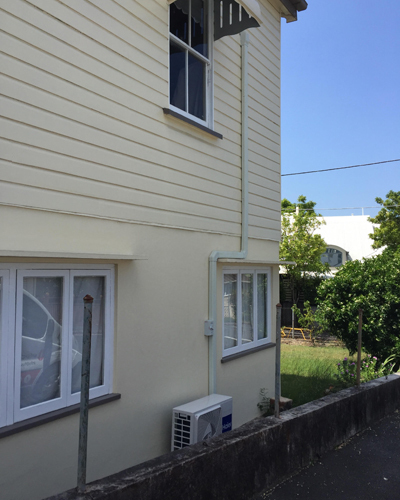 With such system design, it is possible to cool down two or three rooms attached to each other. So, when a ducted system or separate split systems are not possible to install due to space limitation, multi-split is the solution. Ducted: Do you want cooling for a large space? If yes, then ducted air conditioning unit provides consistent temperature control facility throughout the home. The cooling unit comprises of a central unit, which is connected to each room through ducts. Each connected room has air outlet, sensor and control panel to set the targeted temperatures. Are you looking for only cooling or both heating and cooling facility? Whereas reverse cycle model can be used for both cooling and heating, the purchase and installation cost is reasonable compared to arranging a separate heater. Reverse-cycle air conditioning is amongst the cheapest form of air conditioning for large spaces. The second variant comes for cooling only in summer. If the place you live is mostly covered by the summer or mild winters, then the air conditioners for only cooling is the right option for you. Such models come a bit cheaper than the reverse-cycle models. Whether it is a closed or open-plan living room, bedroom, kitchen etc. The direction and size of the windows and glass doors. While dealing with the installation, we suggest clients provide regular servicing by air conditioning contractor. Even, make sure not to set the thermostat of your commercial and residential air conditioning system too low or too high. Don’t forget to set the timer correctly, as it switches off the air conditioning system when it is not required. Contact us at Fusion Electrical Gold Cost and find the latest technology, while providing installation for a residential or commercial project. Our air conditioning installations in Gold Coast and Hope Island come with licensed and fully insured electrical contractors. Do utilise our monthly special offers that you will get from our website. Call us today on 0478821241 to book services at best deals.